Both in the super midsize jet category, the Challenger 300 and Gulfstream G280 have similarities in fuel efficiency, size, and advanced avionics. Although fairly similar to each other, the Challenger 300 and G280 have some differences when it comes to capabilities and avionics. With almost a ten foot longer cabin than the Challenger 300, the G280 can seat 10 passengers, one more than its counterpart. 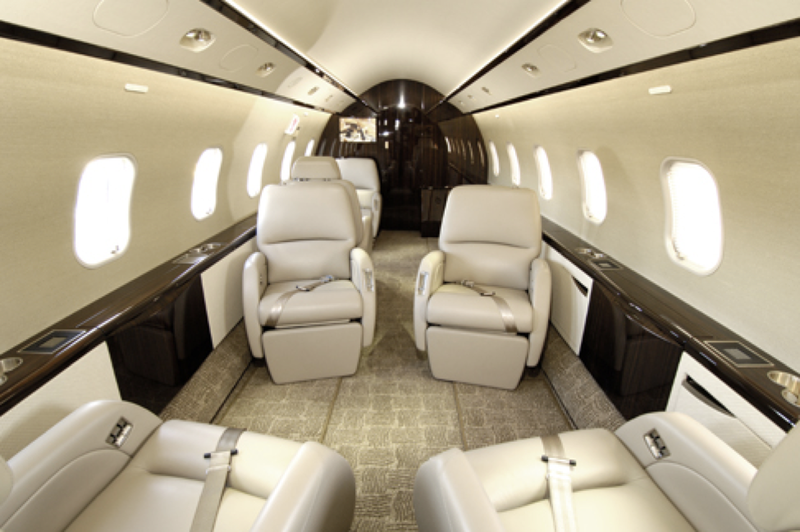 Because of the G280’s extended length cabin, it hosts a total of 19 oval windows, whereas the 300 has just 12 windows. The G280’s cabin door has a six-foot clearance to accommodate for easy entry and exit. Additionally, the G280 has three possible floor plans that travelers can configure to meet their needs whereas the Challenger 300 has a standard double club configuration that can be replaced with a 3-person divan. Both aircraft offer unique cabin amenities. Individual AC power plugs, fold-out tables, two zone air conditioning, and low-heat LED overhead lights with a 10,000-hour life all come standard in the Challenger 300. 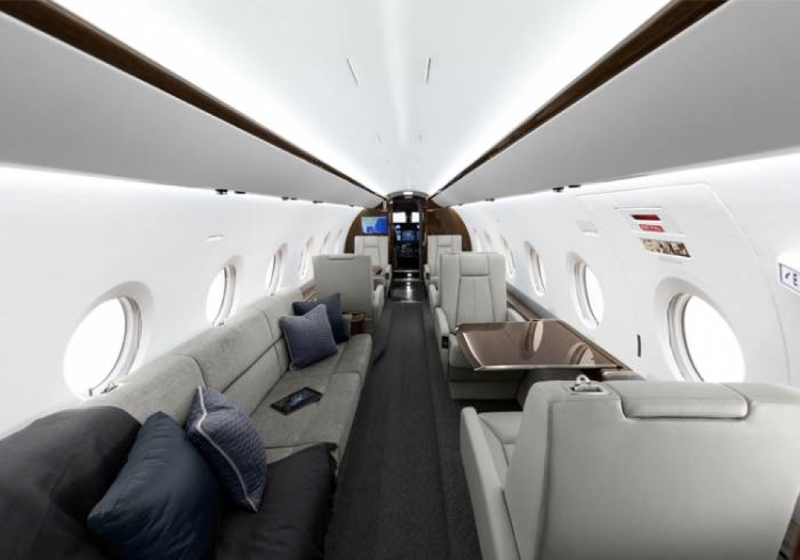 The Gulfstream G280 cabin is equipped with the Gulfstream Cabin Management System that allows passengers to access and manage cabin temperature, lighting, HD monitors, and entertainment all from an iPod touch. Additionally, 100% fresh air circulation, decreased noise levels, and a low altitude cabin make for a relaxing journey in the G280. While both aircraft can fly coast to coast, the G280’s maximum range is 3,600nm, while the Challenger 300’s is less at 3,276nm. Both aircraft however, are leaders in fuel efficiency. The G280 earned the best-in-class for fuel efficiency, consuming 12% less fuel than other super midsize jets. The Challenger 300 can burn as little as 178 gallons of fuel per hour when flying at a high-speed cruise of .82 Mach. 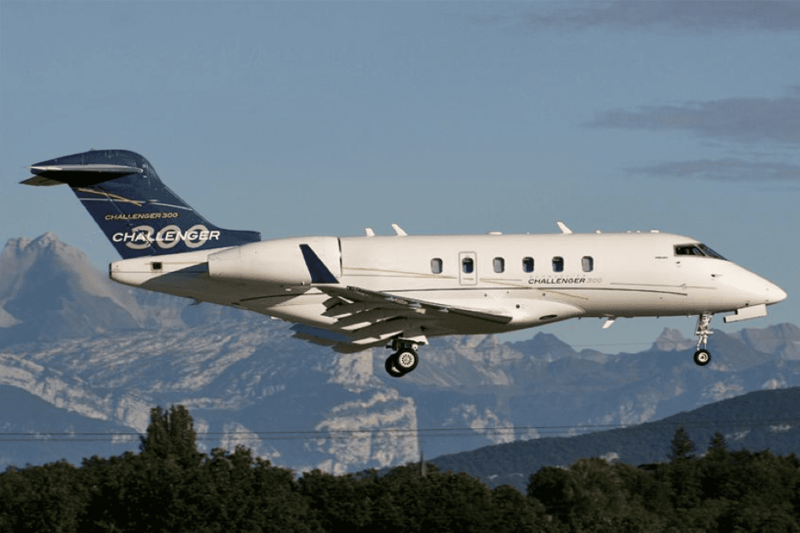 Both jets are equipped with two Honeywell engines, although the Challenger 300’s engines deliver almost 800 pounds less thrust each than the engines on the G280. Regardless, both aircraft can climb to an altitude over 35,000 feet in just minutes, and are capable of departing from shorter airfields than most super midsize aircraft. Hosting two different systems in their flight decks, both include various systems that increase situational awareness and planning for pilots. 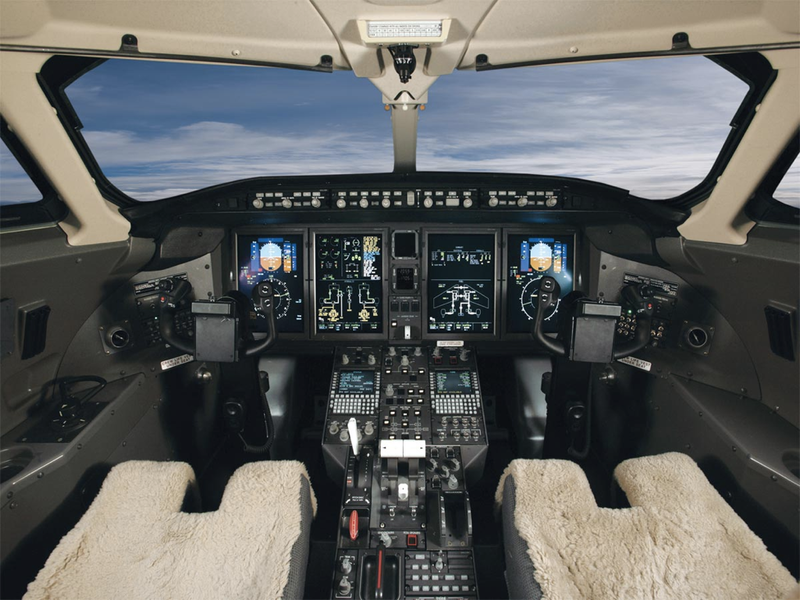 Gulfstream’s G280 is host to the PlaneView 280 flight deck, which has three large displays for easy viewing. In addition, the flight deck is equipped with an Enhanced Vision System and Head-Up Display, allowing pilots to see terrain, runways, and any obstructions during low visibility conditions. 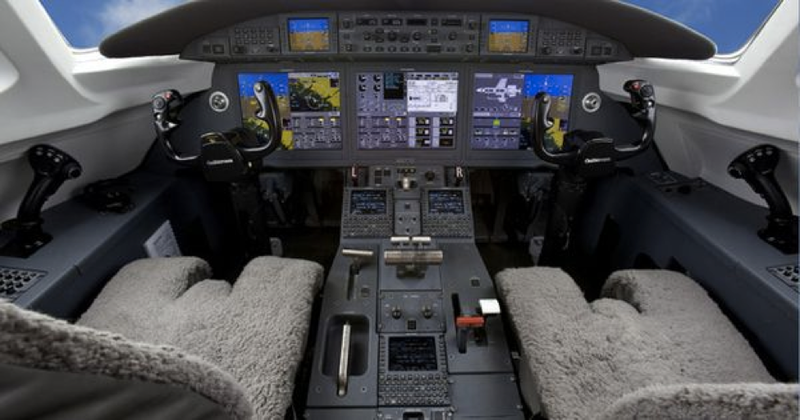 The Challenger 300’s flight deck is equipped with the Rockwell Collins Pro Line 21 avionics system, displaying information across four 12×10 inch LCD screens. The system comes standard with an Engine Indication and Crew Alerting System, which gives pilots engine performance information such as fuel flow, oil and turbine temperatures, and environmental control information. Other systems included in the Challenger 300 include the Enhanced Ground Proximity Warning System and Traffic Collision Avoidance System. While both jets were designed to be easily operated and maintained, they differ in their range, cabin size, and avionics systems. Both the Challenger 300 and Gulfstream G280 can complete cross country flights with speed and efficiency and are guaranteed to offer seamless travel on every flight.